Are you an influencer? Get paid sponsorships from major brands! 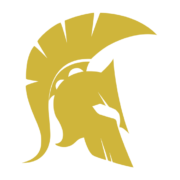 Join the Spartan Elite influencers team to help build your YouTube and social media audience while increasing revenue through paid brand sponsorships. Spartans work alongside other influencers and will be involved in sponsorships from unique brands looking for long term business. Join the Spartan Elite influencers team to help build and grow your YouTube and social media audience while increasing revenue through paid sponsorships. Spartans work alongside other influencers and will be involved in sponsorships from unique brands looking for long term business. We get sponsorships that fit an influencer’s YouTube channel through 3 different routes: directly reaching out to brands, brands reaching out to us , and by having our influencers send all business emails directly to us to negotiate on their behalf – then hopefully get other influencers on the team involved who would fit the advertising campaign. Spartan Elite Advertising will get directions and suggestions from brands in order to perfect their collaborations with our influencers. We work with both the brand and the influencers until the videos are made, go live, and payments are made – we’re there every step of the way. Once a sponsorship is complete and approved, the influencers can share it with their YouTube and social media audience, then they get paid via PayPal, bank wire, or check (their choice) – it’s that simple! Why Should You Become an Elite Influencer? The Spartan Elite influencers get to travel all over the world for events, beta-testings, and for global release parties. It’s always a great experience and our influencers get to travel the world together. While working with other influencers on the Spartan Elite team, influencers get the chance to inspire each other. Every member of the Spartan Elite team works hard to achieve their goals. Our influencers also support each other’s YouTube channels. Spartan Elite Advertising is an agency that cares. Our influencers do charity events and press releases to increase awareness for causes we all believe in. We also try to incorporate charity into our advertising campaigns. The Spartan Elite team knows a lot about SEO tagging and trick on how to push a YouTube channel to the top. We always make time to talk to our influencers about how to improve their channel’s results. Influencers that are a part of the Spartan Elite team get to work with other YouTube influencers on advertising and branding deals. Our influencers also get to fly all over the world together; another agency might get sponsorship deals for influencers, but Spartan Elite Advertising makes it work and fun at the same time. We are not just another influencer marketing agency – our CEO started by running a successful Youtube channel and making friends along the way. We believe in loyalty and trust so we expect the same from our influencers; in return, we prove many extra services /opportunities for free to our Spartan Elite Advertising team!